Venezuelans are now being forced to pay for passports with the country’s controversial petro cryptocurrency, a report indicates. According to Bloomberg, Vice President Delcy Rodriguez said in a press conference on Friday that a new passport will cost citizens two petros, an amount worth 7,200 bolivars. 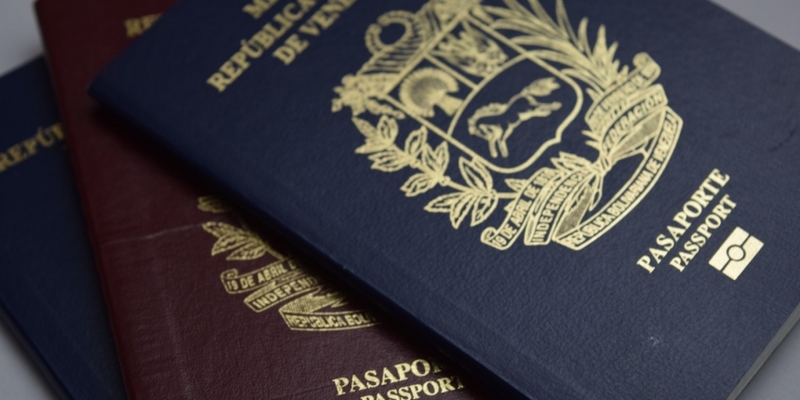 With that amount being four times the minimum monthly wage, Venezuelans face an even harder task obtaining their travel documents as they seek to flee the country’s economic and humanitarian crisis, the news source indicates. With the nation having also just announced the establishment of a police force specifically to tackle migration, as Finance Magnates reports, the insistence on petro payments for passports and the increased price point seem aimed to stem the tide of people seeking to flee Venezuela. Despite arriving in pre-sale in February, the oil and mineral-backed crypto token was formally launched by President Maduro last week. Maduro has also pegged the revamped national currency, the sovereign bolivar, to the petro, as reported by CoinDesk. However, with the token being openly used to flout U.S.-led sanctions against the country, President Trump moved to block its use in commerce with new restrictions in March. Just last week, a bipartisan group of U.S. senators even pushed for tighter sanctions against the petro, calling for a ban on U.S. residents providing “software” to the Venezuelan government as part of its efforts to utilize the petro. Seemingly placing all his hopes in the success of the token, Maduro has been making a major drive to force institutions to use the petro. In late August, he ordered banks to adopt the petro, having forced companies to do the same back in March. The nation must also peg pension and salary systems to the cryptocurrency, as was declared in August.